On March 31 the Canberra Liberals released their public transport policy for the October 2016 election. It calls for buses to be the sole public transport option for Canberra's future. Response has been muted, as the obvious flaws in the policy - no real costing, unrealistic proposals and promising things that are already planned, emerged. "It is massively undercosted and we will be challenging them to provide actual costings"
The Canberra Times covered reactions here 'Liberal bus plan unaffordable, light on detail'. (TWU Secretary) Klaus Pinkas said the Liberals' proposal, unveiled on Thursday, had "some good ideas and great lines on the map", but was uncosted. He said bus drivers supported the idea of fewer stops on express services. "But it's just not costed. I don't know, you don't know and [Liberal leader] Jeremy Hanson doesn't know what the cost is." The Liberals believe they can deliver the plan for the same amount currently spent on ACTION and the Capital Metro Agency combined, about $160 million a year. But the party admits it has no firm costings. The government dismissed the proposal as "massively undercosted", but did not provide any of its own figures on what the Liberals' proposal might cost. Mr Pinkas said Labor's plan for a tram line to Gungahlin was better because it meant far more jobs in construction. He said the Liberals' proposal would mean more bus drivers, but Labor's project would bring hundreds of construction jobs to build the tram and redevelop Northbourne Avenue. The Liberals also propose a rapid service to Canberra Airport, plugging a long-lamented gap in bus routes. But it is unclear whether such a route could be delivered, given the current impasse, with the government so far unable to persuade the airport to allow ACTION buses. A spokeswoman said the airport "welcomes any discussion about ground transport to the airport" but pointed out there were already ACTION buses to the Brindabella Business Park, about 500 metres from the terminal. A privately contracted shuttle bus ran from the terminal to Russell and the city. 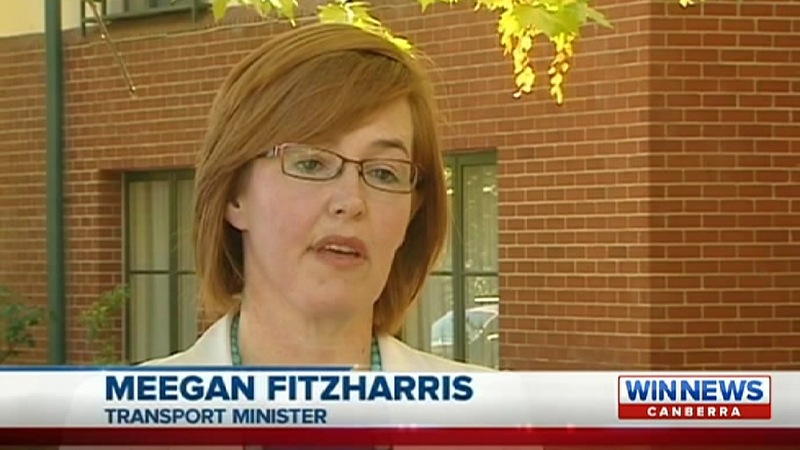 Transport Minister Meegan Fitzharris said the Liberals' proposal would cost hundreds of millions and take years to implement. She said the policy lacked costings and relied on the Liberals spending millions on compensation to tear up light rail contracts. The government plans to create new bus routes after 2019, including through redeployment of buses from the city to Gungahlin corridor as tram services begin. They could include services to the Molonglo Valley and Weston Creek. Ms Fitzharris said hundreds of new buses would be required for the Liberal plan, as well as at least two new depots. She said dead running would be an inevitable result of route specific vehicles and she questioned idea of colour coding buses. "Labor introduced rapid bus routes, so we are obviously committed to those and we will be making further announcements with the roll out of our integrated transport agency on July 1 and also further announcements as we get closer to the election. "I think there is no detail in the Canberra Liberals' plan. I think it is massively undercosted and I think we will be challenging them to provide actual costings for this, of what it will cost on top of the costs they will need to pay for scrapping and tearing up the light rail line." ABC Online covered reactions here. "Chief Minister Andrew Barr questioned the viability of the plan to expand the Rapid bus routes instead of building light rail. Mr Barr said the consequences of cancelling light rail contracts would be severe. "The Liberal Party proposes to spend hundreds of dollars on nothing," Mr Barr said. "That is tearing up contracts and handing $60 million of Commonwealth funding back because the project that that money has been allocated to would not go ahead." But he said he welcomed the debate. 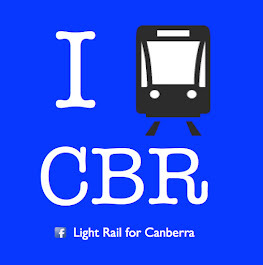 "We think our plan through Transport Canberra will deliver a better public transport system for the city," Mr Barr said. "It's a debate we're very happy to have. "We look forward to that unfolding in the months ahead."